Dear Aspirants, Bank Exam Race for the Year 2019 has been started. In Banking Exams, General/Financial Awareness Part plays a vital role and this section helps a lot to increase the Overall Score. You have to focus more on Current Banking and Financial Awareness Part to Crack the examination. Only few sources are there to provide exact General/Financial Awareness Materials. 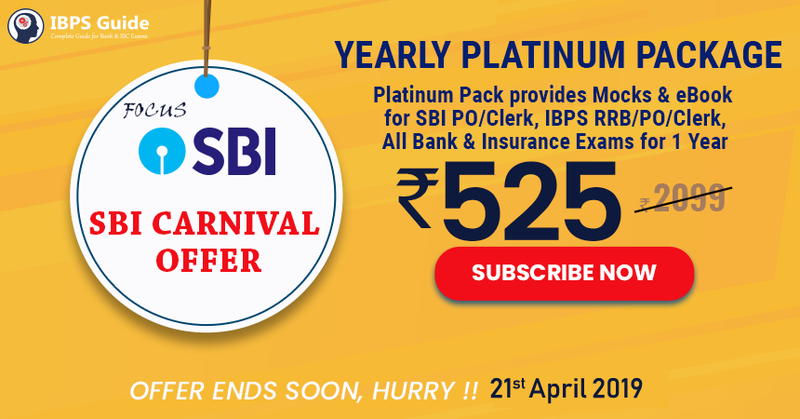 We IBPS Guide Team, providing you the Exclusive Current Banking & Financial Awareness Capsule for Year 2019, Aspirants those who have ambitious dream to become Banker by year can make use of it. SBI Clerk, SBI PO,NIACL, RBI Grade B, IBPS RRB, IBPS PO, IBPS Clerk and all other upcoming Competitive exams. 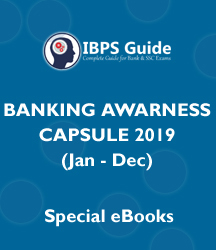 E-book covers the Important Banking & Financial Awareness from 01st January 2019 to 31st December 2019. This Banking & Financial Awareness E-Book was purely prepared based on the Exam Point of View which will be 100% effective in your preparation.